This simple wreath is perfect for this lazy girl. I put it together from two junky things I found in the midst of cleaning and organizing the workshop. I can hear you laughing now. I’ll never get the workshop cleaned and organized. I like to think I will. I also wanted to remind you about the two giveaways. Still time to enter both. The links are at the bottom of this post. A look at just a bit of the wreath. Those white flowers are soooo pretty and they’re the perfect contrast to the grapevine. Now I’ll walk you through the project process. 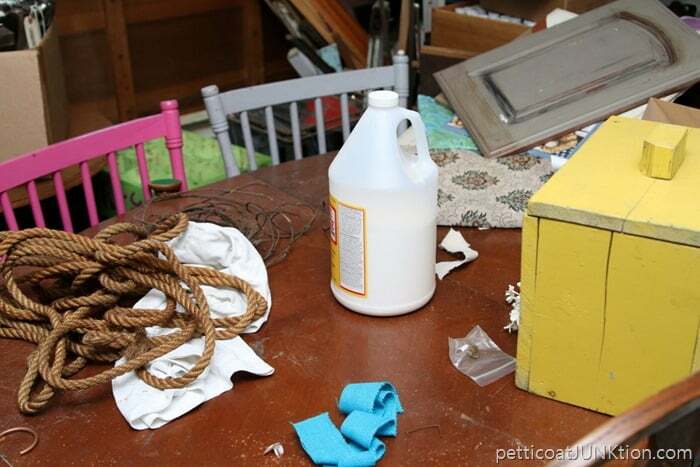 A look at my workshop. At least a part of the workshop. What a mess. Every once in a while I get the organizing bug. Mainly because I run out of space to work. It’s also hard for me to work with clutter everywhere. My mind goes a little crazy. I can’t focus on any one thing. Does that make sense? For this organizing episode I started with the table. It’s a great catchall place. The partial wreath was hidden under a couple of things. I think at one time it was part of a larger wreath. I pulled this bit out of the middle of the large wreath for some reason or other. I kind-of like the unstructured look. Bits of grapevine hanging everywhere. 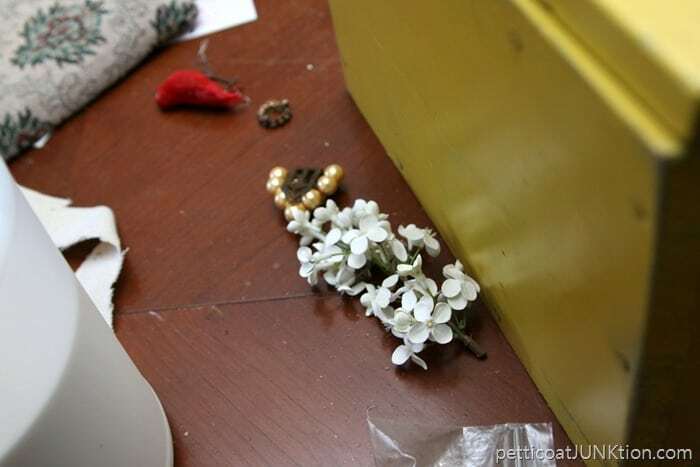 Next I spotted the bit of flower stem on the table. Put the two together. Ta-Dah. See how easy that was. 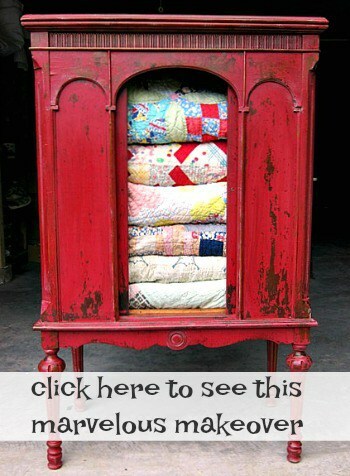 Some of my favorite home decorations are bits and pieces of stuff just thrown together. Now I had to find a place to hang it because it is just too darn cute. I decided to hang it over the painted canvas on the mantel. But new plan. 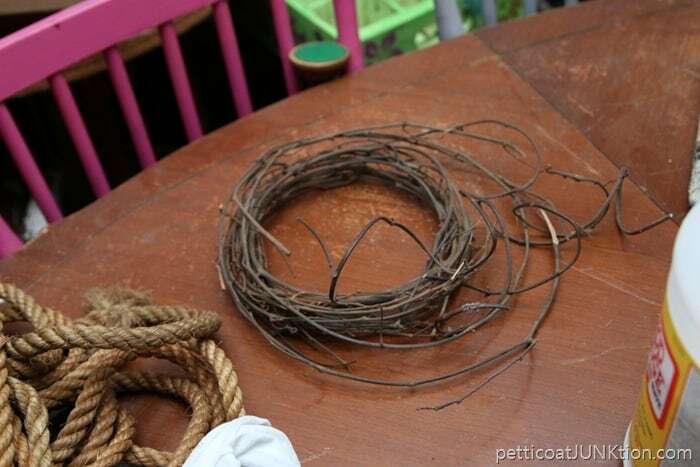 I wrapped twine around the wreath and hung it on the candle holder on the mantel. Perfect. Well, I think it’s perfect but you guys may not. I’m kind of an asymmetrical, not in to perfection, type of girl. The simple wreath makes me smile and that’s a good thing. I’m even doing the happy dance. 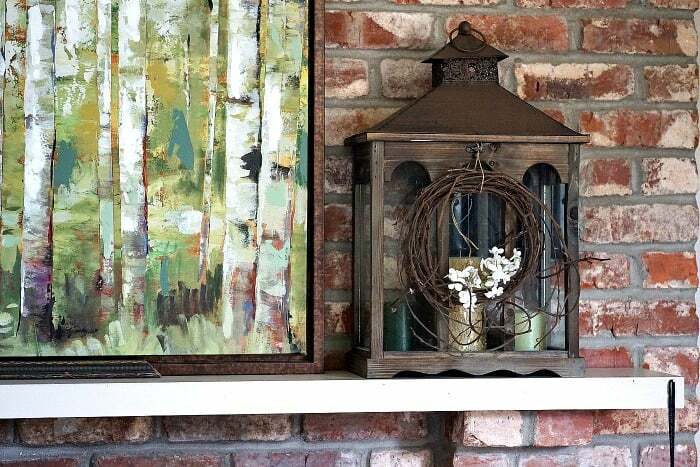 You don’t have to spend a lot of money or buy fancy stuff to decorate your home. 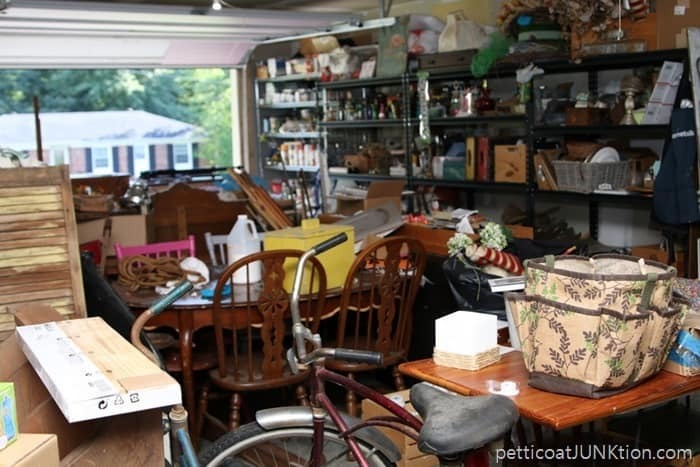 Look around the house, shed, garage, workshop and see what goodies you might find. 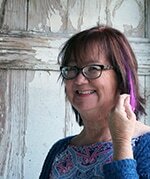 Don’t forget to enter the two giveaways I have going this week. For the stencil kit giveaway click here….Stencil Giveaway. For the Craft Supply Giveaway click here….Craft Giveaway. Great look with the brick wall behind, like it all. Perfect on the lantern. Another super terrific project! 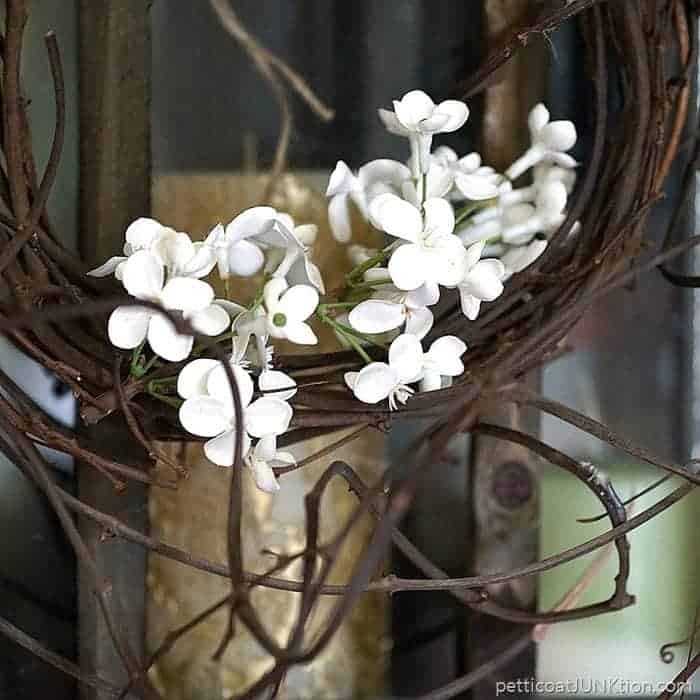 I love hanging the wreath from the candle holder – brilliant!! I love the wreath! 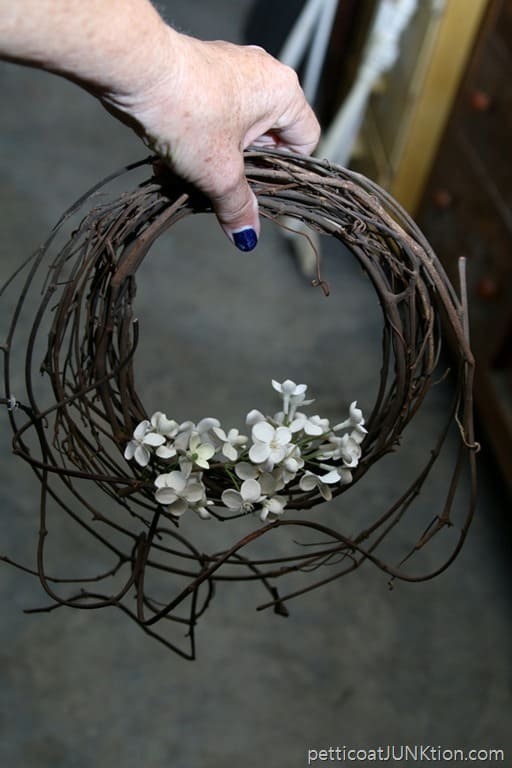 Now you`ve given me the idea to look for wreaths at thrift shops. I love the free form look! Yeah, I really like the wreath with it’s loose tendrils at the bottom. 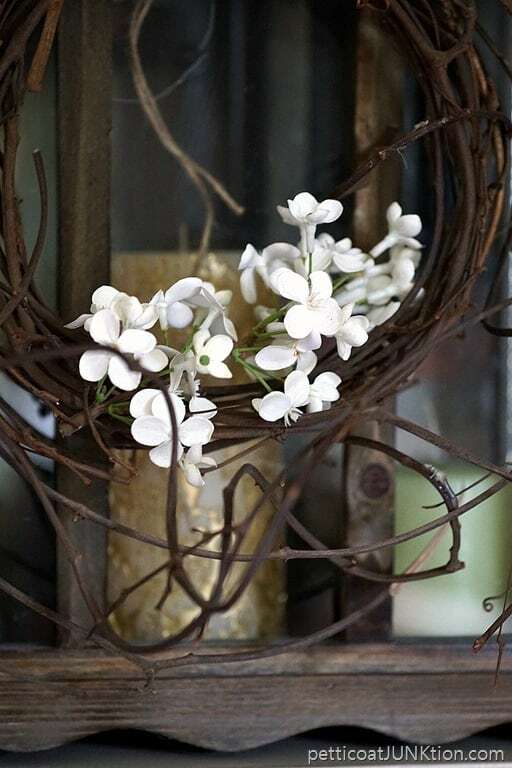 And that little sprig of white flowers is perfect–simple, but elegant. Nice work! Simple, yet elegant. Absolutely love it!! Cute, simple. I’m showing my husband your craft room, not because of the clutter, but he thinks my craft room(s) are worse. Love the wreath and the candle holder! 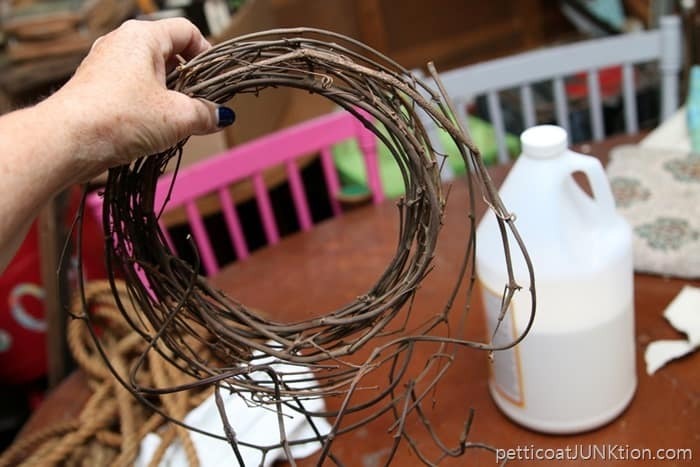 looks like you might need to buy more Mod Podge…LOL…and I like a simple wreath…. What a nice project! You are absolutly right about that decorating a home is fully possible with less money if you just look around what you got to work with that already is in your home. I just love to start with less or no money because thats when my creative process really begin and gets all in. I do like the style you create it’s a kind of perfect imperfection. Keep on creating you really inspire!! Asymmetrical! I understand that! The perfect wreath is simple. 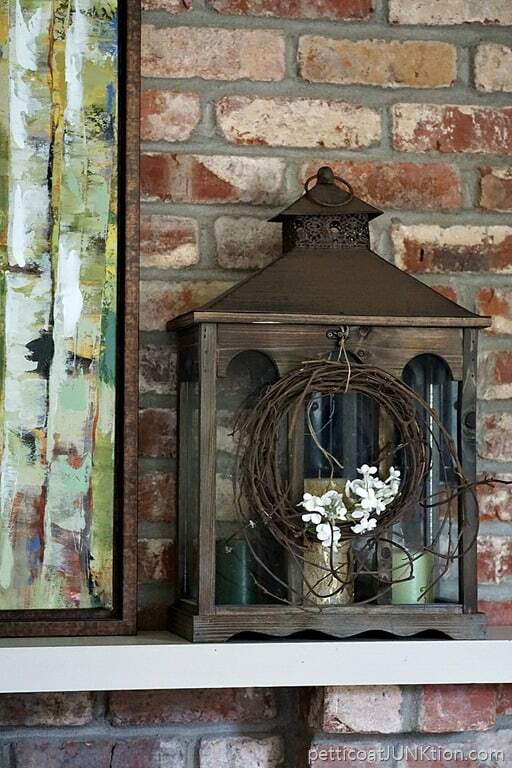 Did you create the painting of the birch next to the lantern on the mantel? 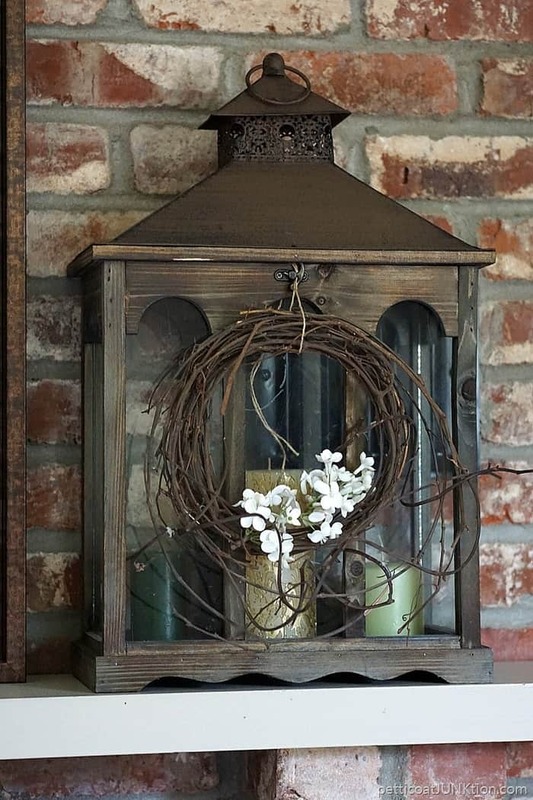 I love the wreath hanging on the lantern. I also love the white flowers against the dark wreath. Those quick projects show how creative you are. Love it! ?